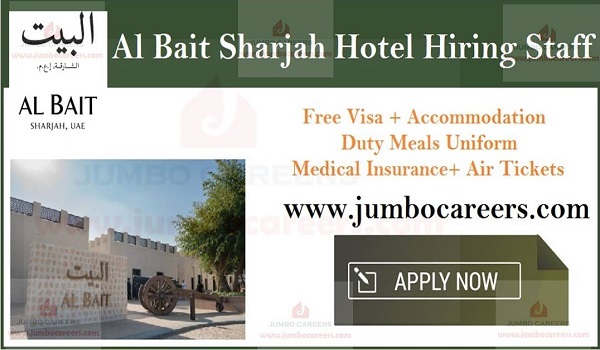 GHM Group of hotels in UAE Al Bait Sharjah is hiring hotel staff. Salary range: AED 2500-6000/ month. * All candidates are required to have at least high school or graduation degree along with either hotel or restaurant or catering experience in the same role.